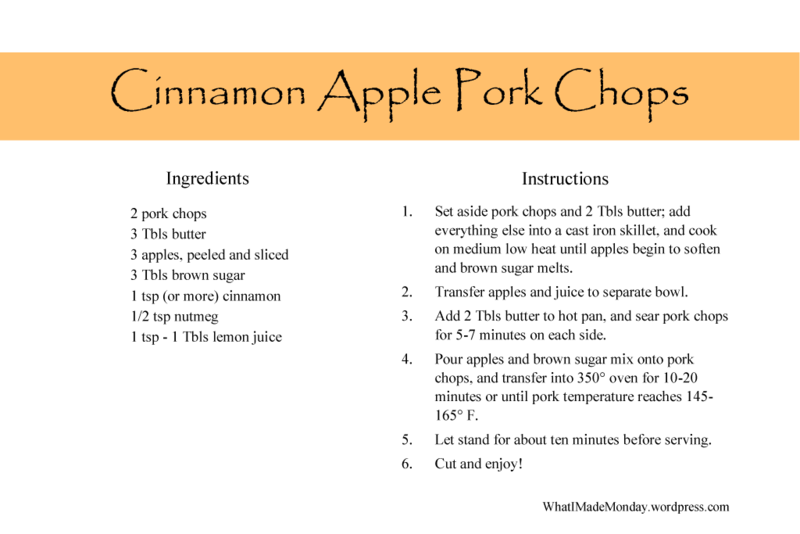 As promised, today I have the recipe for cinnamon apple pork chops. That being said, I missed yet another year of apple picking this year. Which I was really disappointed about. My husband’s never been, and I’ve missed three years now. Oh well, hopefully next year! I served the pork chops with my autumn rice which you can find here along with a brown sugar acorn squash. I also forgot the squash the night of the pork chops. So sad. It was still a good meal though! 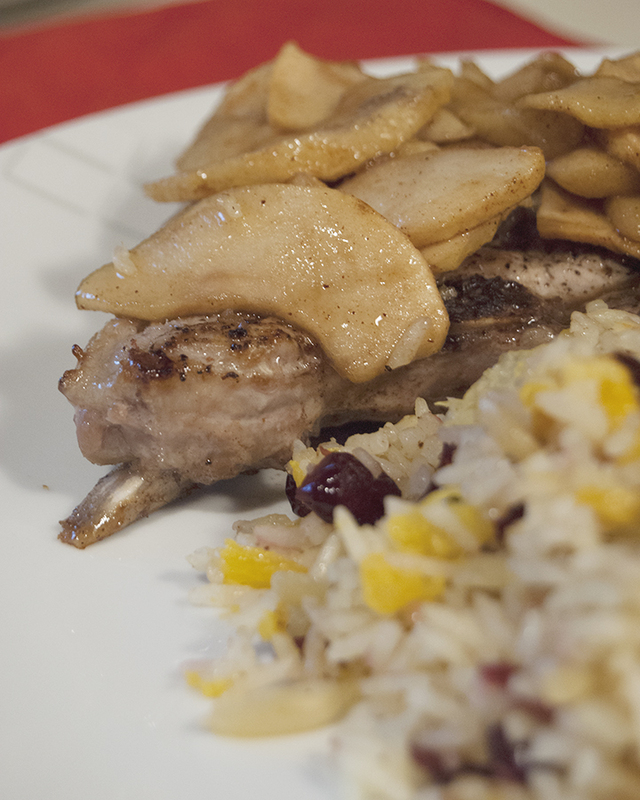 And the pork chops were even more amazing leftover when I sliced them and fried them with the apples to reheat them! Caramelized brown sugar, yum! Here’s the recipe, I hope you enjoy!